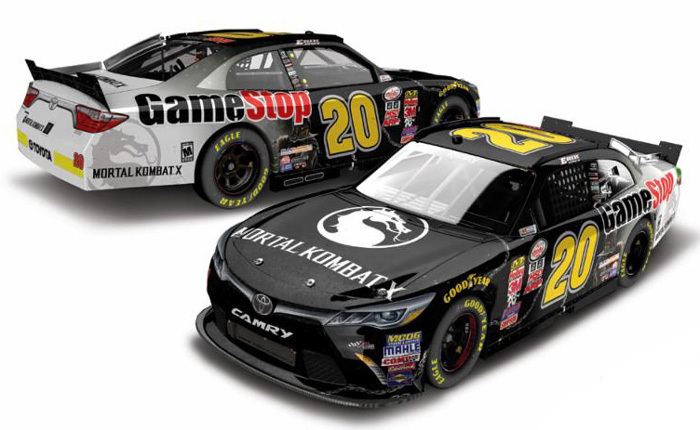 2015 Erik Jones #20 GameStop / MORTAL KOMBAT X / Texas Win / Raced Version / Toyota Camry NASCAR diecast, by Action. 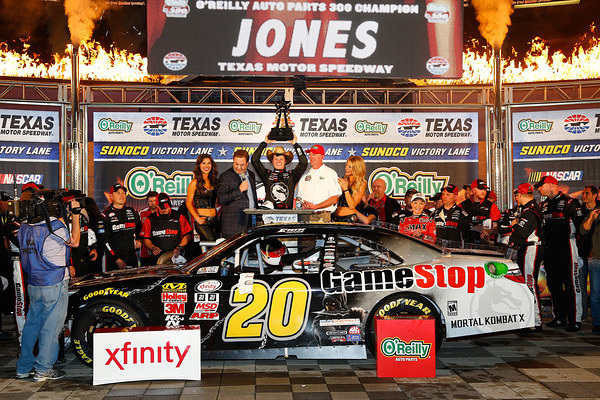 Erik Jones raced this Joe Gibbs Racing #20 MORTAL KOMBAT X Toyota to victory in the NASCAR xfinity Series, O'Reilly Auto Parts 300 at Texas Motor Speedway on April 10, 2015. 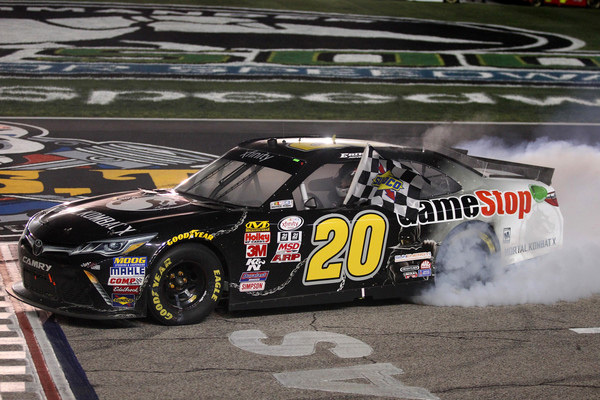 This was the 1st NASCAR xfinity Series victory for Erik Jones! Action Gold Series cars feature diecast bodies with plastic chassis. The hoods open HO, but the trunk does not. This car is packaged the same as the Platinum Series and includes a silver sticker with "1 of XXXX" indicating production run and DIN (Diecast Identification Number) for registration.